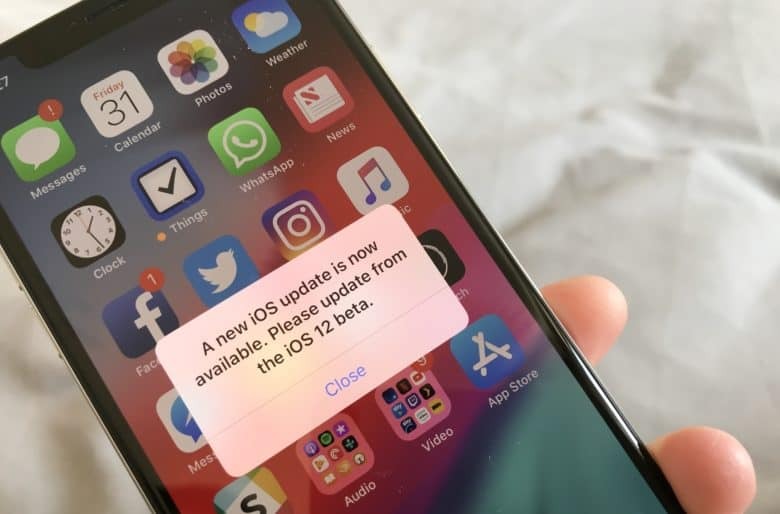 For about 18 hours, iOS 12 beta testers were incessantly prompted to update to a new version of Apple’s upcoming software . Unfortunately, most found that no such update existed. The prompts, which appeared at every unlock of a users device sparked frustration, but also became fodder for musician and jingle creator Jonathan Mann. Known for releasing a song every day since 2009, Jonathan Mann is no stranger to creating songs based on current events. In a tweet posted earlier today, the singer/song writer (@songadaymann) shared his latest creation. So @_inside asked for a song about the annoying “A NEW IOS UPDATE IS NOW AVAILABLE PLEASE UPDATE FROM THE IOS 12 BETA” pop up prompt. In his tweet, Mann credits well-known iOS “hacker” Guilherme Rambo (@_inside) for encouraging him to make the song. In the 1-minute-and-41-second jingle, lyrics are borrowed from tweets shared by disgruntled beta users online. This isn’t the first time Mann has turned users frustration with Apple into a song. Back in 2010, Mann released a song on the eve of the iPhone 4 Antenna press conference. The song was then played to kick off Apple’s press conference. While issues like the update notification or antennagate may be frustrating to users, it’s nice to know that people can still find light in these situations. Apple has since released an update to put a stop to the notifications, but thanks to Mann, we never have to forget.